These are the top activities Mount Rushmore National Memorial has to offer. Let us know you are interested in learning more by completing the activities info request form. A National Park Reservations activity partner will reach out to you! A great local attraction to entertain both the kids and their parents. This thrilling adventure will safely test you mentally and give you many thrills as you also test your skills. 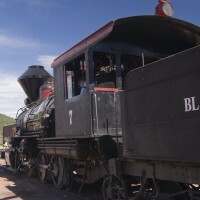 Experience the surrounding Black Hills in historic fashion by taking a narrated train ride. A great and relaxing way to see new views and experience the ride of an authentic steam train. A unique experience awaits you and your family close to the Mount Rushmore outlook. The alpine slide provides thrills of speeding down a long slide and riding the lift back up to do it all over again!